Lately I’ve found that my physical energy and mental focus is waning as the day goes on even though the time change was about two weeks ago. Then I realized that maybe all I needed was a little aromatherapy help with peppermint essential oil! Studies have shown that it enhances alertness, focus, and more, so it’s a great remedy to add to your natural medicine chest. Plus, with it being so easy to use and inexpensive, investing in a small bottle is well worth it. Peppermint essential oil increases alertness and enhances memory according to a 2008 study published in the International Journal of Neuroscience, so it’s a great essential oil to use throughout your day whether commuting or at home, work, or school. Try diffusing the oil with an aromatherapy car diffuser or a personal aromatherapy diffuser (electric and battery-operated ones are available). If you don’t have a diffuser, try placing a few drops of peppermint essential oil on a tissue or cotton ball and take a few whiffs of it now and then throughout your day. Got a bad tension headache coming on? Peppermint essential oil has been shown to help relieve sensitivity to headaches and be just as effective as acetaminophen — when applied topically as a 10% peppermint essential oil solution mixed with 90% ethanol — according to two German studies done at the University of Kiel in 1994 and 1996. Whip yourself up a similar remedy at home using alcohol (e.g., vodka) and peppermint essential oil, or if you’re in a pinch, try peppermint cooking extract. Personally, I like to apply peppermint essential oil directly to the temples and the occipital ridge (where the skull meets the back of the neck) to instantly relieve a headache. It’s especially effective when mixed with French lavender essential oil used in the same way (i.e., applied directly and undiluted). Another favorite method is to make a compress. Simply mix a couple of drops of peppermint essential oil into a bowl of cold water, dip a wash cloth in, and apply it to your forehead for instant, cooling relief. Caution! Whenever using peppermint essential oil or any other oil for that matter, don’t forget to wash your hands afterwards to avoid accidentally rubbing – and then irritating – your eyes or mucous membranes later. If peppermint essential oil gets into your eyes, wash well with cold water for 10 – 15 minutes. If irritation persists, seek medication attention. Caution! 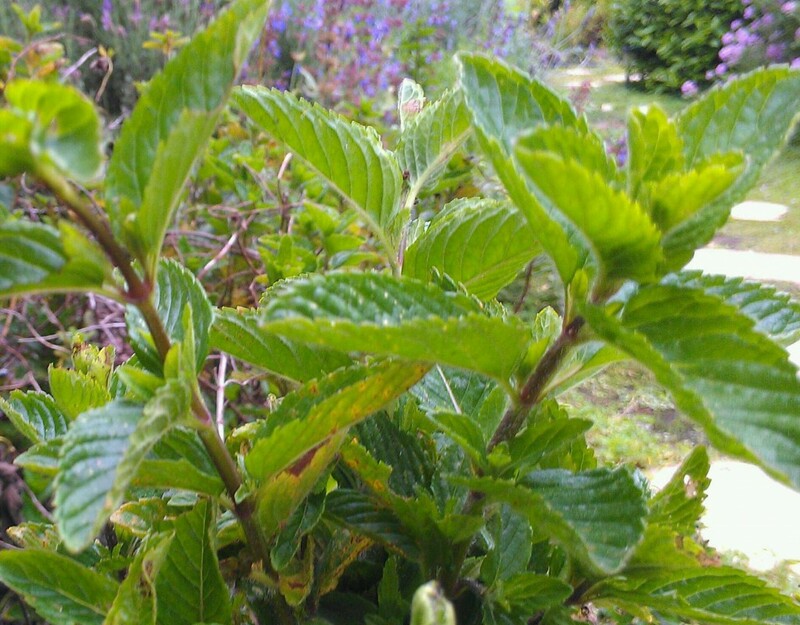 Even though peppermint essential oil is natural, it should be used carefully. Peppermint essential oil should not be used on young children. Also, it can interact with certain medications and has other safety precautions that you should be aware of. For more information, check out this National Association of Holistic Aromatherapy (NAHA) article and WebMD article. Copyright © Karen Peltier and Well Gal, 2012 – 2015. All rights reserved. Photo © Karen Peltier and Well Gal, 2012 – 2015. ← Has Spring Cleaning Fever Struck You?